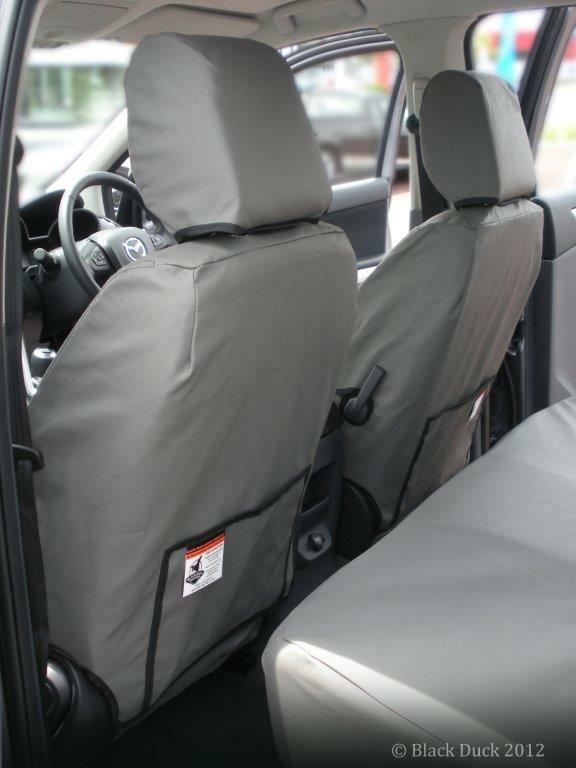 Black Duck Seat Covers - maximum seat protection for your PX2 Ford Ranger - XL, XLS, XLT & WILDTRAK Dual Cab, we offer color & fabric selection, the largest range & the best prices in Australia! You will save when you shop online at Miller Canvas for Australia's most popular Canvas & Denim seat covers to fit Ford PX Ranger Series 2 XL, XLS, XLT & WILDTRAK Dual Cab, manufactured in Perth by Black Duck™ Canvas products. FORD RANGER PX2 and PX3 - from 06/2015 onwards. 2015, 2016, 2017, 2018, 2019. 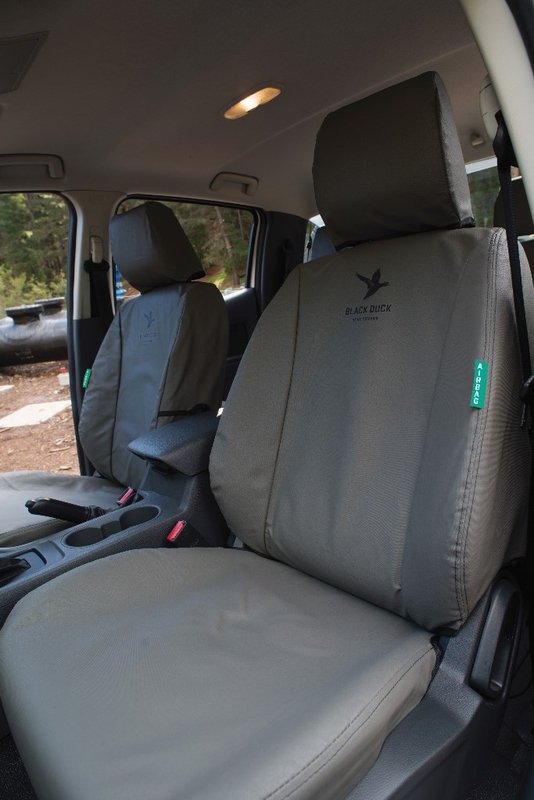 Only Black Duck ADR Certified Canvas & Denim seat covers should be fitted to PX2 Ford Ranger Series 2 - XL, XLS, XLT & WILDTRAK Dual Cabs that are fitted with seat-airbags. 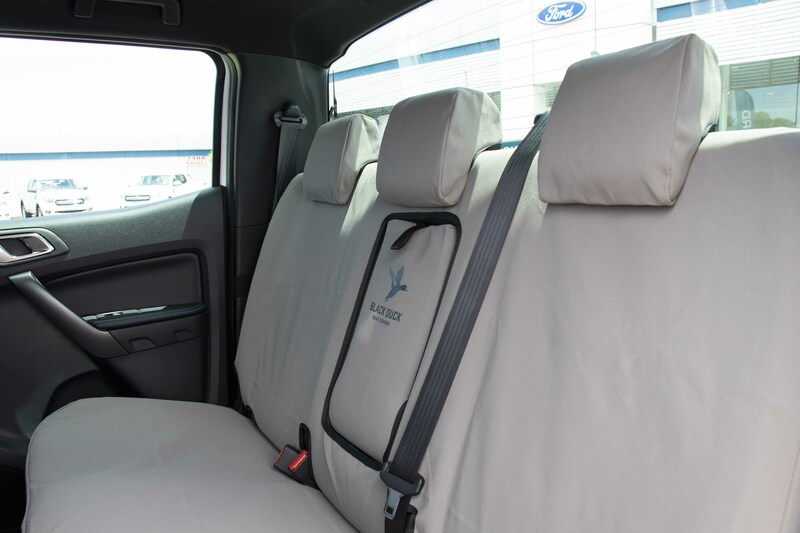 The cotton/polyester mix and the treatment process has been refined over many years to come up with a water-resistant product, which prevents stains on the Ford PX2 Ranger seats from liquid spills. This also includes agents to prevent deterioration of the fabric structure from atmospheric effects, including the effects of UV radiation and mildew etc. Seats need to breathe or they become musty and lose their ‘new car’ smell. Black Duck Seat Covers keep your seats like new and increase the resale value of your Ford PX Ranger MK II XL, XLS, XLT & WILDTRAK Dual Cabs. You will find them comfortable to sit on all year round – not hot and sweaty like vinyl. Eliminate the wear caused by grit and dust. The sand grit and dust that gets into everything, penetrates through cloth type seat covers and eats away at your seat trim and stitching. 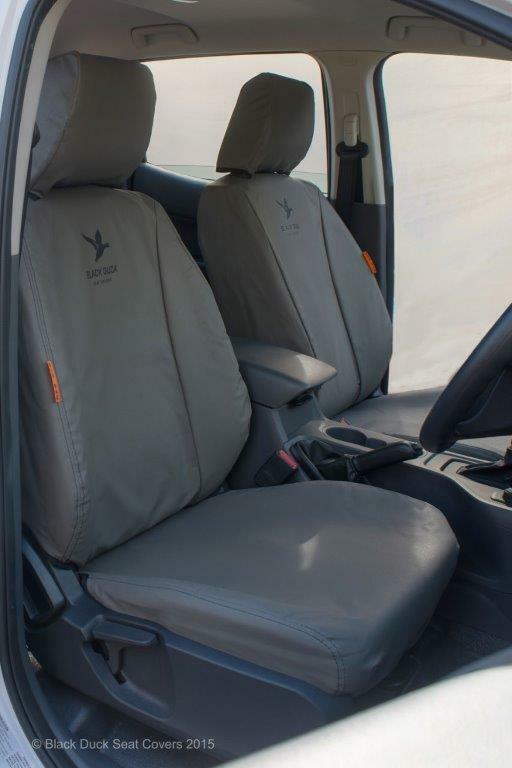 Black Duck Seat Covers are fully dustproof and completely eliminate grit and even fine dust from damaging your Ford Ranger PX2 XL, XLS, XLT & WILDTRAK Dual Cab seats. Black Duck™ Canvas Products Air Bag Compatible Canvas Seat Covers have been dynamically tested by an approved testing authority and found not to adversely affect the performance of the manufacturers seat fitted side airbag and therefore the safety of the vehicle's occupants will not be compromised, providing that the seat covers are fitted correctly and in accordance with the manufacturers instructions, and that the seat covers have not been repaired or modified in any way. As the Manufacturers and sellers of this product have no control over the end use or the fitment to the vehicle, to the extent allowable by law, the Manufacturers and sellers accept no responsibility or liability for any malfunction of the vehicle occupant safety systems including the seat-mounted side impact airbag system as a direct or indirect result of the incorrect fitment or unauthorized repair or modification to this product. 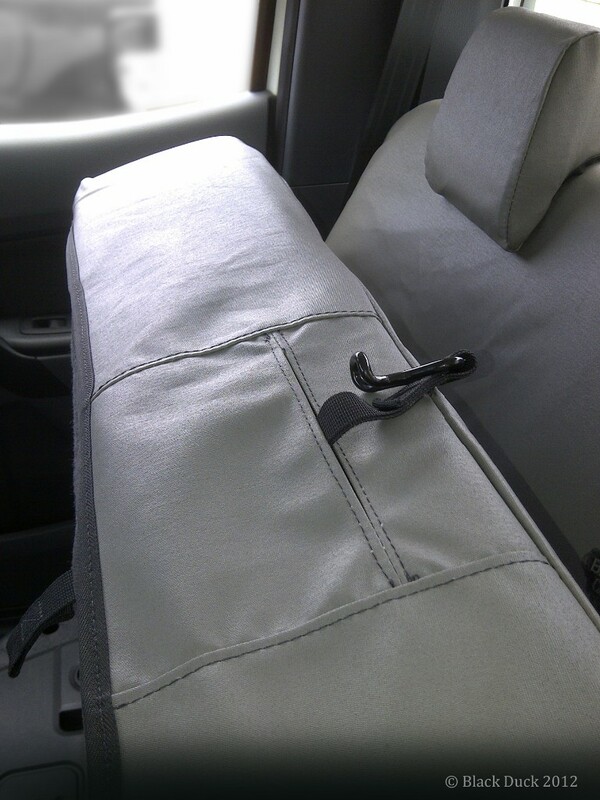 Be sure to fit Black Duck Seat Covers to your Ford Ranger PX2/PX3 - XL, XLS, XLT & WILDTRAK Dual Cabs.